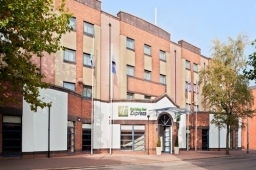 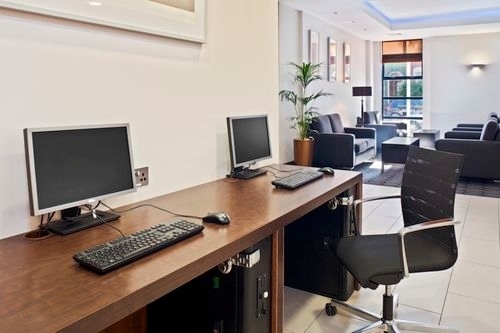 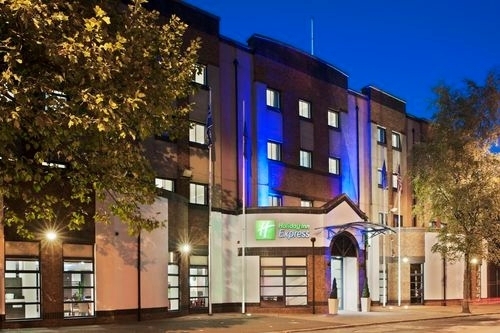 The Holiday Inn Express Belfast City is a modern 3 star and contemporary hotel with great service, a friendly welcome and free fast WiFi and car parking, making it the ideal choice for a stay in Belfast. Situated in the centre of Belfasts lively Queens University Quarter, this Belfast hotel is within 2 minutes of the many restaurants, bars and cafes of popular Botanic Avenue and the historic Queens University Belfast. 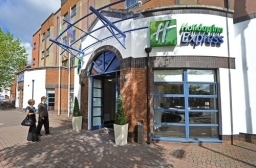 The hotel is close to the city centre, with the main shopping and entertainment districts a 10 to 15 minute walk away. Express start Breakfast is included in all rates for every guest, with our continental and hot buffet breakfast served daily in the modern dining lounge. 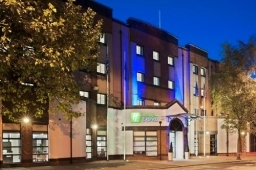 Which includes a wide range of hot traditional Irish breakfast items as well as European items available. 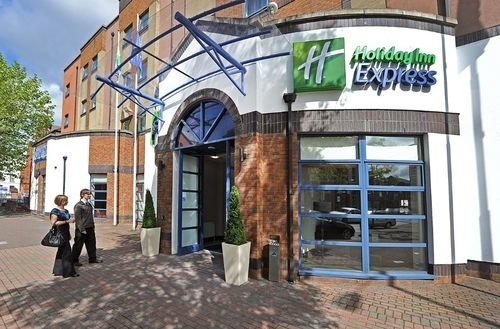 The Holiday Inn Express Bedrooms provide modern, flexible accommodation to suit your needs. 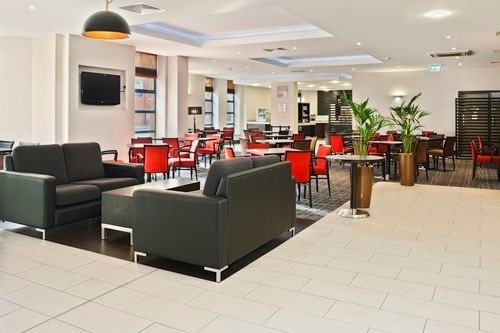 Our fully integrated lobby and flexible dining area is perfect whether you fancy a quick snack, a bite of lunch or a full dinner, we serve food daily from 12pm.